Mobile technology is an essential tool for a majority of workers and running out of power can be disruptive. Bisley’s new lockers are powered, making it possible to take a laptop away to a desk, only to be charged again when it goes back in the locker overnight, locked safely away behind a simple barrel lock, digital combination locks or an RFID (Radio-Frequency Identification) lock. 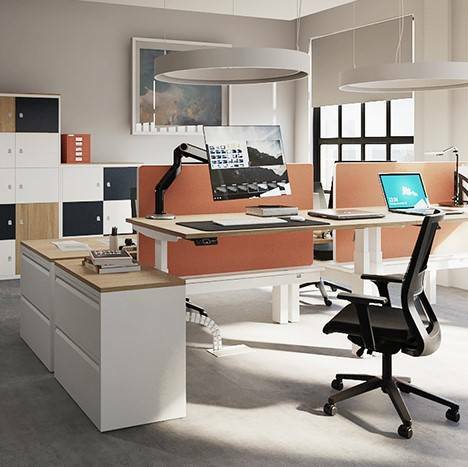 The ‘hard to reach’ bottom section of the locker stack can be modified to include a retractable personal drawer, maximising its capacity and accessible use. There is also the opportunity to further personalise each locker with business card/photo holders included as standard to increase the sense of ownership and belonging. 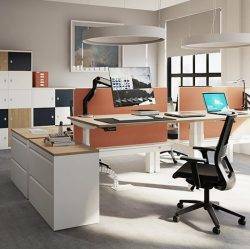 The range is available in a multitude of sizes (single or double height to suit requirements), colours, finishes and lock type. Planting tubs can be integrated on to the top of the storage units, enabling the incorporation of storage in biophillic workplace designs, increasingly popular due to the proven benefits for the wellbeing of employees. The wide range of aesthetics available for the tops and shelves, and the option of wood finish doors, mean the new locker range can be specified in any design scheme.